The first season of ‘The A.V. Club’ will premiere March 16 @ 9PM on FUSION TV. The weekly show will be hosted by The A.V. Club’s editor-at-large John Teti and feature the editorial brains behind the iconic pop culture site sharing their distinct perspective on movies, music, television, and more. “Last year, my A.V. Club colleagues and I surveyed the media landscape and reached a troubling conclusion: There simply aren’t enough television shows. To remedy that shortfall, we’re taking matters into our own hands,” Teti said in a post. The A.V. Club is an entertainment website for pop-culture obsessives, by pop-culture obsessives. Publishing since 1993, The A.V. 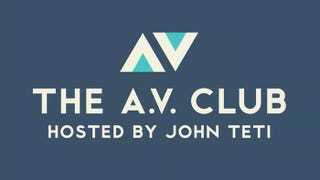 Club’s videos, reviews, interviews, and features can all be found at AVClub.com. ‘The A.V. Club’ show is produced by Onion Studios. Alicia Haywood, MaryBeth Searls and James Fleischel serve as executive producers. This marks the first series to premiere on FUSION TV from a Fusion Media Group digital brand; last fall the network aired an election special from the editors of The Onion.